Why learn Arabic in Cairo? Learn Arabic with Ahlan World in Cairo, Egypt and enjoy the hospitality and lively atmosphere of Ahlan which makes it a great place to study and learn a new language. Our students enjoy the enriching experience of being part of a growing Egyptian-international family, and they also enjoy the many cultural events we offer. We have a dynamic group of teachers and guides, who in most cases maintain old friendships with former students. The Ahlan Arabic school is open in the afternoons and teachers often stay after hours to spend time with students and encourage Arabic conversations outside the classroom. If you decide to learn Arabic in Cairo with Ahlan World, you will have the opportunity to learn Arabic while also getting to know the culture and customs of the city. You will also be able to visit the most famous places as Ahlan World organizes many cultural activities and weekend excursions, which makes it a perfect opportunity to put into practice everything you have learned in your Arabic classes. We are very proud of the fact that many of our alumni choose to come back to visit us or to take additional courses. They say they miss the family atmosphere and friends they have made during their school experience. Ahlan World, Cairo is a difficult place to leave! It’s impossible to explain the magic of Cairo in a few words. It is a crazy city, which at first seems chaotic, noisy and very busy. But after a few days, you will be captivated by all that Cairo has to offer, its vitality, its people, its culture, its history, its music, its architecture… There is much more to the city than the Pyramids of Giza. Come and find out for yourself! In this video, students and teachers at Ahlan Egypt will tell you all about the unique experience of learning Arabic in Cairo. Check out scenes from our school and sites around the country while hearing about courses, student life, outings and more! Modern Standard Arabic (MSA) courses give students the linguistic essentials of the Arabic language, with a focus on the foundations of Arabic structure, grammar rules, and key vocabulary. MSA is primarily used is in Arabic media, academic texts, literature and in formal settings, rather than on the streets and in everyday conversations. Most Arabs will nonetheless understand and be able to use MSA, regardless of where they are from and which dialect they use most frequently. MSA is most closely related to the classic, original form of the Arabic language upon which the many different dialects were initially based and formed. For this reason, many students choose the study of MSA at the start of their Arabic careers and then later take on a specific dialect that fits with their particular interests or location in the Arab world. MSA courses are three hours per day, five days per week. Ahlan World’s intensive MSA course encompasses all of the material in the standard MSA course listed above, but with an additional focus on vocabulary and grammar specifics, comprehension activities, games that test various linguistic skills, and conversation practice. The intensive course is one of the best options for those students wishing to make the most out of their time in Egypt. Intensive MSA courses are five hours per day, five days per week and are not available to absolute beginners. 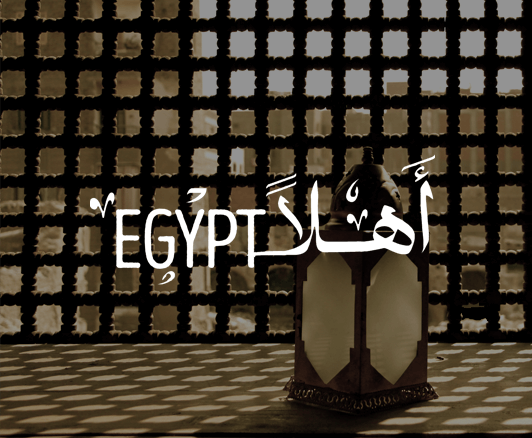 Egyptian Colloquial Arabic (ECA) courses offer students an immersive study of the Egyptian dialect, which is used by locals for everyday interactions and conversation. The Egyptian dialect is understood by most of the Arab world as a result of Egypt producing many movies and songs. The study of ECA focuses less on universal aspects of the Arabic language (which would be found in an MSA course) and instead provides the essentials of navigating life in an Arab country, including important vocabulary, phrases, and sayings that students may hear on a daily basis while living abroad. ECA courses are two hours per day, five days per week. The Ahlan Linguist Package combines the advanced linguistic study and universalism of Modern Standard Arabic (MSA) with the specific knowledge of the local Egyptian dialect (ECA), providing students with a comprehensive understanding of the Arabic language and its varied uses. Students in the course will gain unique proficiency in the language as well as flexibility regarding future study, as they will have experience with both MSA and a local dialect. Ahlan Linguist Package MSA classes are three hours per day, five days per week, while the ECA classes are two hours per day, five days per week. The Ahlan Linguist Package is not available to absolute beginners. One-to-one and small group classes (2-3 persons) are also available year-round at the school and via Skype, upon request. These classes can be held at a time that best suits the student (between Sunday and Thursday, from 9:00 am to 8:00 pm), but will also depend on teacher availability. Students wishing to request specific times for one-to-one classes must do so during registration or at least one week before the course begins. If preferences are not expressed ahead of time, Ahlan World will select the class times. level in Arabic and would like to experience journalism in a Middle Eastern environment. Want to study Arabic at a different location? Take a look at our other schools below.